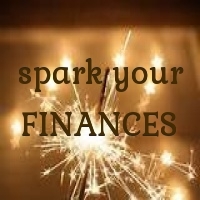 Together let’s spark your FINANCES! Money. It’s a construct of energetic exchange within our world. It’s also energy. And it’s important to become ever-more-conscious of how we use this energy. “Thank you for this wonderful evening with people that I love, for the laughter we shared; the great wine; the lovely meal; thank you so much!” As you sign your name on a check, send this energy to the money and to the universe. Feel grateful and express it often. More money will come to you. When more money comes, it is the energetic outpouring linked directly to your gratitude. If you really want to open the floodgates to monetary prosperity, give larger amounts of money to people who are in need and who would be appreciative and grateful for this money. Tip your waiter a nice chunk of cash, and feel grateful that you can help someone that way. You will make them smile, their sense of self will elevate, they will emanate good feelings to you and life… and this will go into your karmic bank. Give more than just your change to a homeless person, as they are a person, and they have material needs. They are you in another form. Give them $5 if you only ever give 50¢. Give them $10. Give them clothes. Take them to get their hair cut or purchase new clothing. When you are giving, be grateful you are able to help others this way, embrace the joy and see how wonderful it is. You will be enriched energetically and will never want or need for anything. We are, afterall, here to help one another. As you rise energetically on all levels, lift others with you.